Photo courtesy Flickr user Karen. 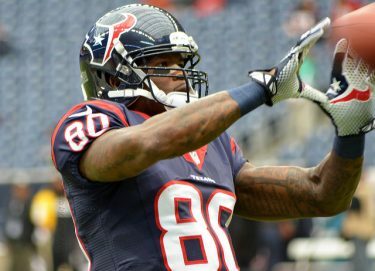 Last week, former Hurricane wide receiver Andre Johnson retired from the NFL after a stellar 14-year career in the pros. The Miami native enrolled in the University of Miami in 2000, where he ran track and played football. Johnson became a star wide receiver in the country. In his sophomore year, he led the Canes to its historic win against Florida State with five catches for 111 yards and two touchdowns, snapping FSU’s 10-year unbeaten home streak. Johnson was later named co-MVP of the BCS National Championship Game, where he finished with seven catches for 199 yards and two touchdowns. 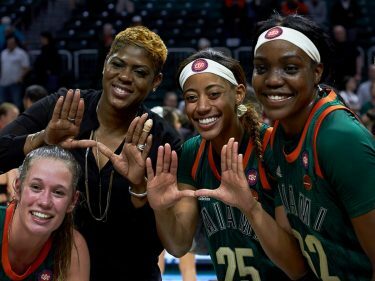 The Hurricanes defeated the Nebraska Cornhuskers 37-14 to finish off an undefeated season and win the fifth national championship in school history. 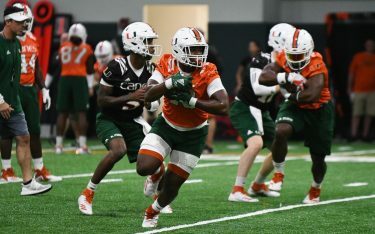 In Johnson’s junior year, he started to attract attention from NFL scouts, becoming only the second player in Miami history to have more than 1,000 yards in one season (1,092). He caught 52 passes, leading the Big East in receiving yards and yards per game. Johnson also led the nation in yards per catch. After declaring for the NFL draft in 2003, Johnson was taken third overall by the Houston Texans. With his combination of size and speed that was hard for any defensive back to contain, Johnson became an instant impact player for the Texans. He was selected to his first Pro Bowl in his second season in the league and was named to seven total Pro Bowls in his career. Johnson was selected as a first-team All-Pro in 2008 and 2009 and was also the NFL leader in receiving yards in both those years. In his professional career, Johnson recorded 1,062 receptions (No. 9 all time), 14,185 receiving yards (No. 10 all time) and 70 receiving touchdowns (No. 40 all time). In 2014, he was inducted into the UM Sports Hall of Fame. Johnson’s consistent and standout career could potentially propel him into the NFL Hall of Fame sometime in the next few years.